Who ate all the veg? 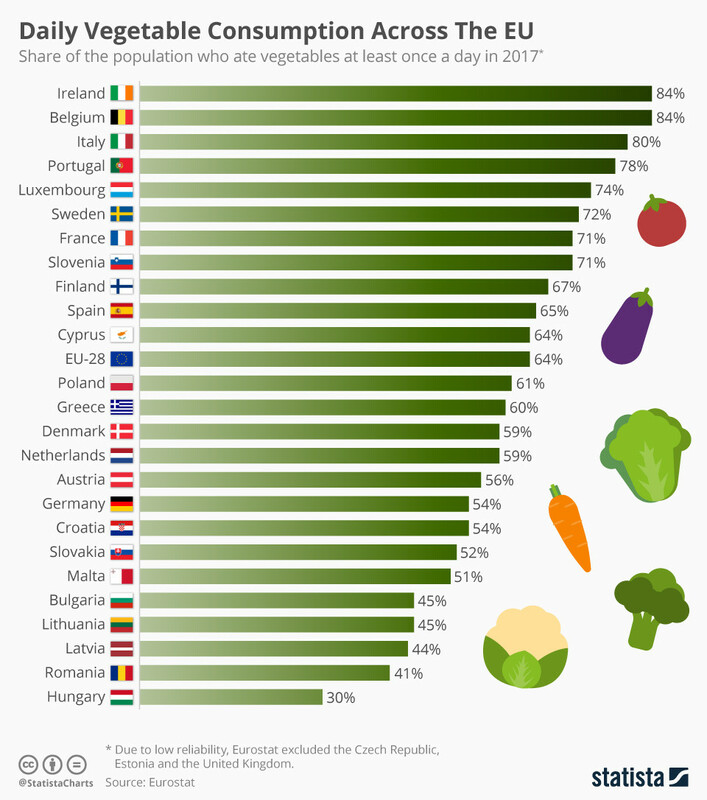 When it comes to the daily consumption of vegetables across the European Union, there is a tremendous variation between member states. Ireland certainly likes its greens with 84 percent of the population reporting they ate vegetables daily. According to Eurostat, Belgium reported the same rate of consumption with Italy (80 percent), Portugal (78 percent) and Luxembourg (74 percent) following. Hungarians have the lowest rate of daily vegetable consumption in the EU at only 30 percent. With the collaboration of Statista.